I wasn’t lying before when I said I was obsessed with these blood drip nail guides! Halloween is the only time I can get away with having blood drip nails and people not think I’m crazy. This manicure was super easy to do and would look amazing with any colour combination. Of course red blood drip nails would look the best for Halloween, but I know it doesn’t always match every look. That’s why I like to experiment with different colours! 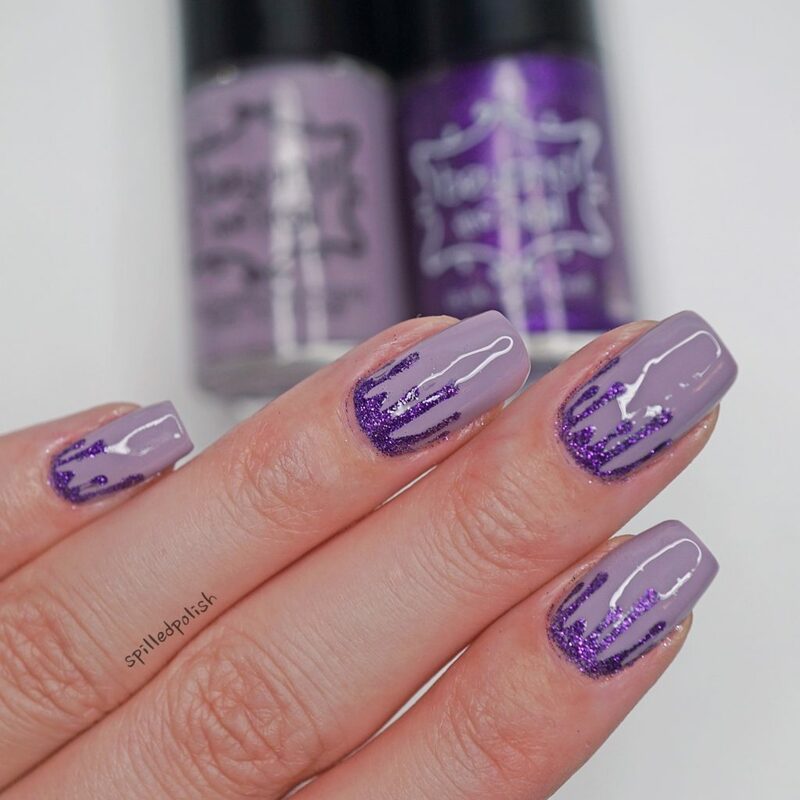 I started by painting my nails two thin coats of Beyond the Nail – Smokey Lavender. 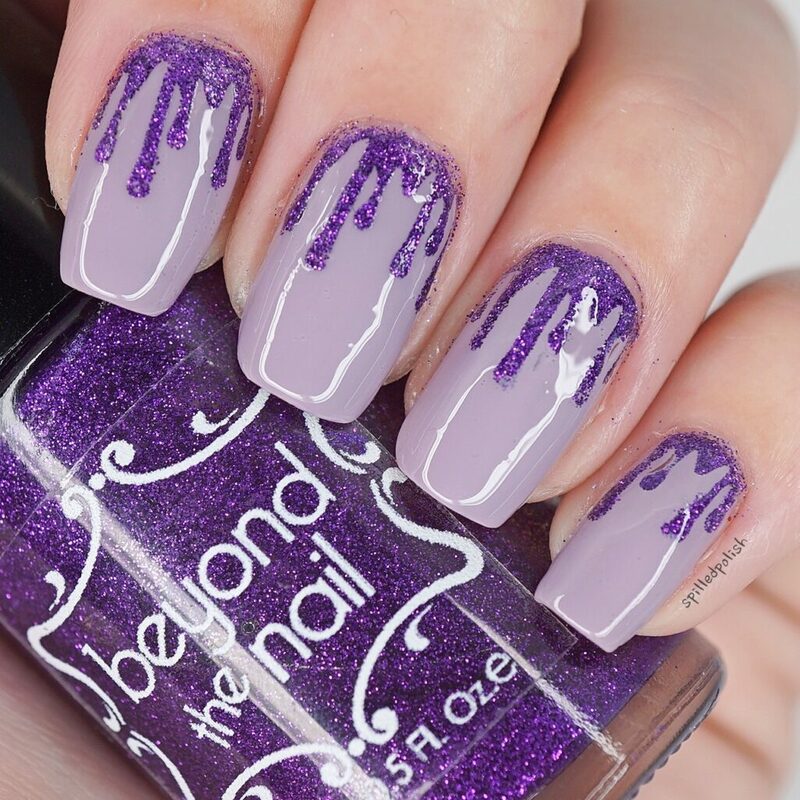 When it was dry, I placed on a Blood Drip Nail Guide on top of each nail and sponged over it with Beyond the Nail – Purple Microglitter. I peeled away the nail guides and was left with these awesome glitter blood drips! 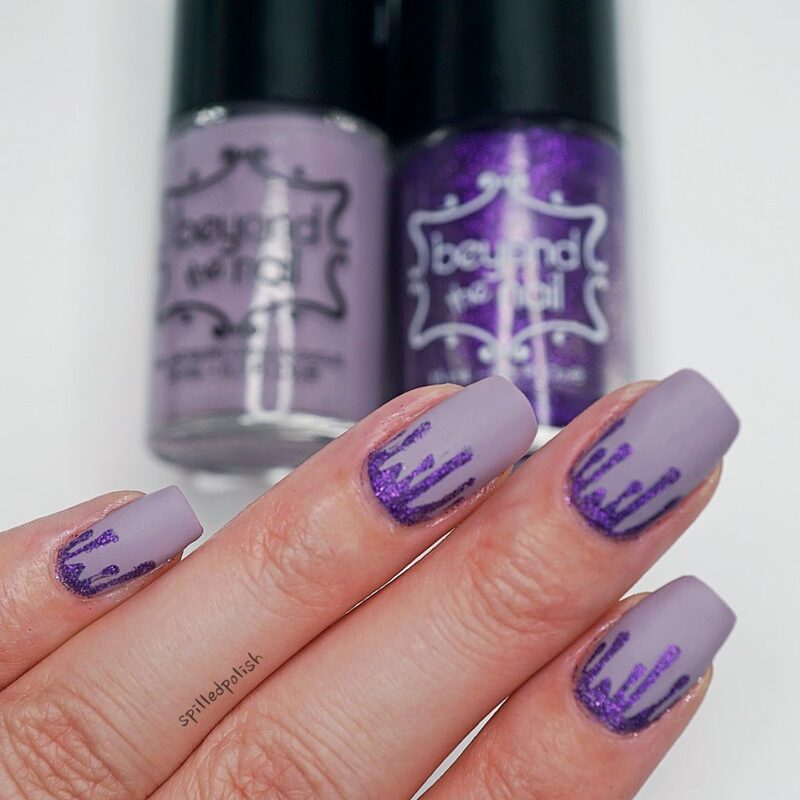 To finish off the look, I painted over it with one coat of Beyond – Base and Top Coat. I did this in matte too, but I’m not sure which I like better. To make it matte, I used one coat of L’oreal – The Matte Velvet. What do you like better? Glossy or Matte?